others ( i mean the stopped1 ) any help? also you might wanne change in DBAgent_01.ini "CabalGame01 to SERVER01" same for "ODBC.ini" twice. after that "Service cabal stop" x2 to be sure! copy this into you putty terminal. btw if you use simp client dont forget to put the "Bin's" from the update folder to your centos and overwrite. Do you use bridged for oracle? 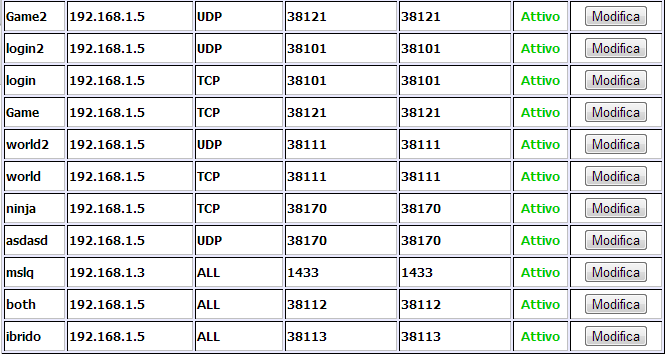 If yes, have you made port forward for ip centos between ports 25000-40000 and for ip windows 1433? Attivo = activated those are from my ruter i have to do it on my windows firewall? Disable firewall, and should work! Firewall disabled, automatic start also. They dont have any problem, you havent installed them correctly. If you are on an X64 OS and cannot register any new accounts it's because the pwdencrypt gives a longer value on x64 machines that doesn't fit the database field. You can use this query to drop and recreate the table with a longer password field. Warning this will delete any data in the table. someone could solve the problem of character select? Please help me, since replacing the files as in this tutorial but these services do not start. Uninstal you current SQL 2008 R2, and Reinstal this way. make sure your Sql info is typed correctly user and password. i been success before but when i reboot my pc i,when i go to try again if there is no error. i got all this its my pleasure if you help me .. ty in adv. Last edited by ToxicMoon; 26-01-13 at 03:46 AM.